Body fluids are not only very difficult to clean-up they often carry a host of threatening diseases including HIV and Hepatitis. Fluids will often seep into porous material and areas which are not visible to the eye, making the clean-up of blood and other body fluids extremely difficult. 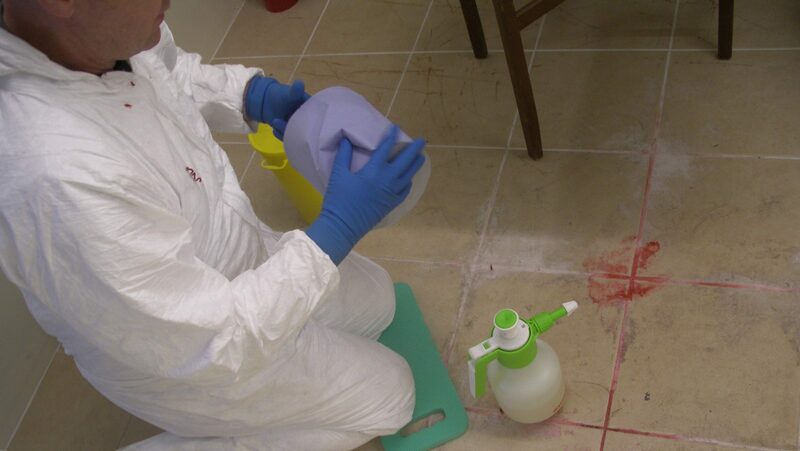 Our extensively trained body fluid cleaning experts can tackle the clean-up of blood and other body fluids easily. Using our advanced equipment and cleaning products they will thoroughly clean-up body fluids ensuring the potentially hazardous area is infection free. 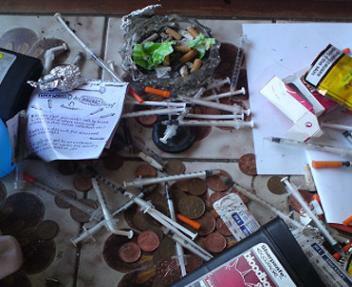 Used hypodermic needles and syringes can carry harmful diseases and, if not removed and disposed of correctly, could cause serious infections. Our specialist team will safely recover used hypodermic needles, syringes and other sharp objects following current Health & Safety regulations and transfer them for incineration at the nearest biohazard waste facility. We work with housing associations, letting agents, rehabilitation centres, landlords, the police and prison services, colleges, universities and many more.